1. Visit http://catalog.oslri.net and click the Sign In To Your Account link. 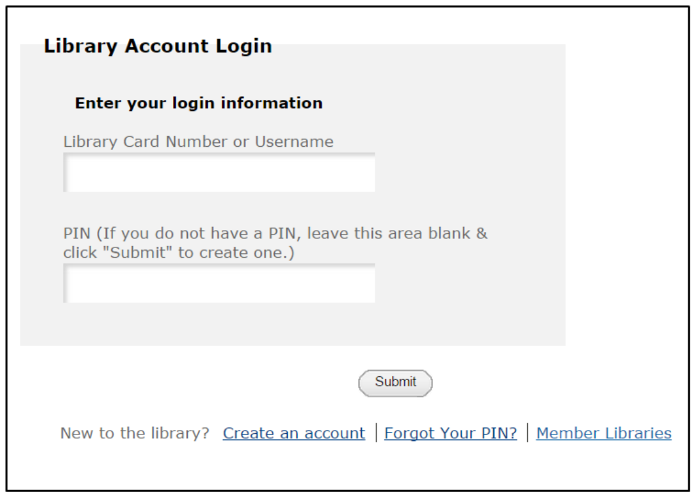 Enter your library card number and PIN. 2. Click the Modify Info link on the left-side pane. 3. A new window will open. Enter your desired Username then click the Submit button. 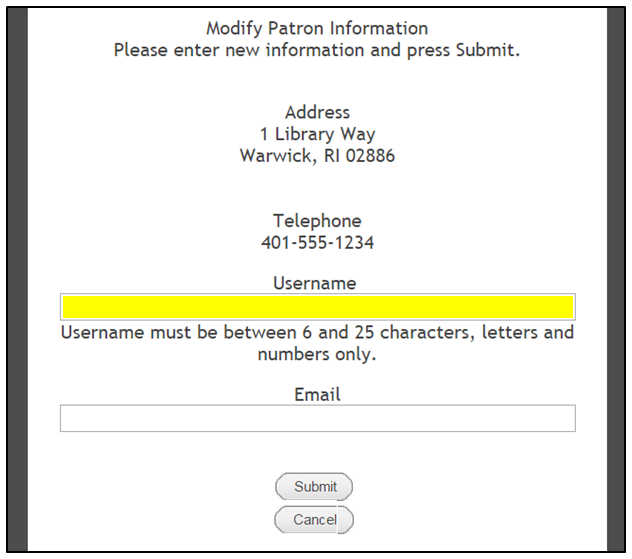 Usernames must be between 6 and 25 characters, letters and numbers only. 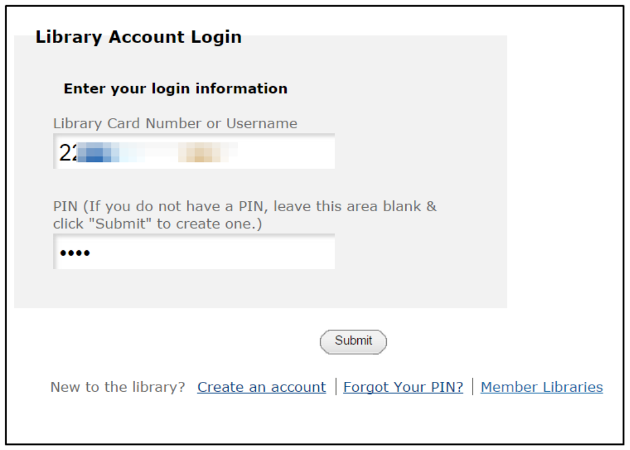 The next time you login to your library account online, enter your username along with your PIN. Note: Usernames are not a replacement for your library card. You are still required to present your card when checking out materials from your local library. 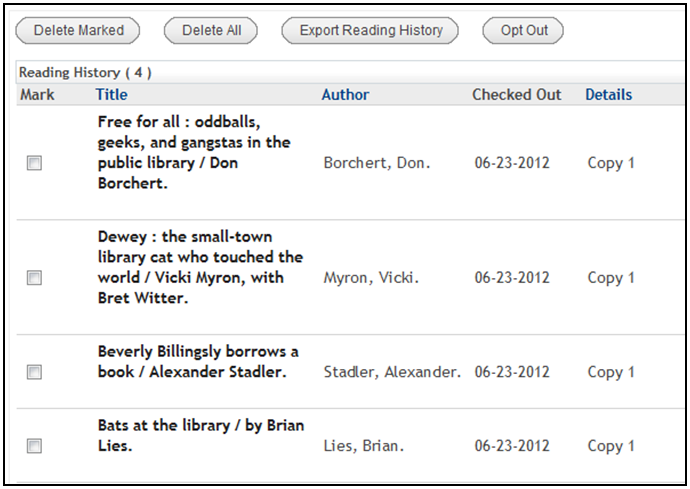 Keep track of what you check out with the Reading History feature on your Library Account! 1. 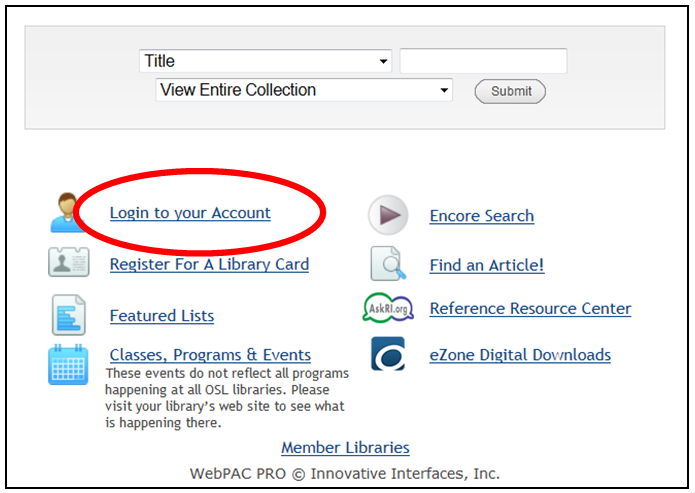 In your browser, navigate to http://catalog.oslri.net/ and click Login to your Account. 3. 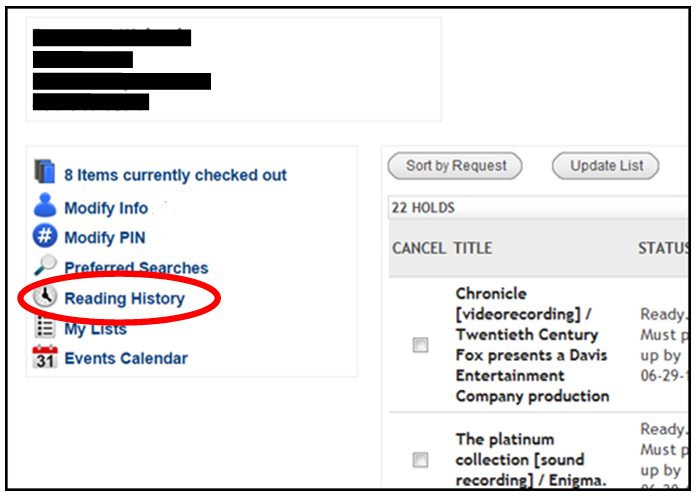 Click the Reading History link on the left-side pane. 4. Click the Opt In button. 5. Start checking out items and your history will be saved here! 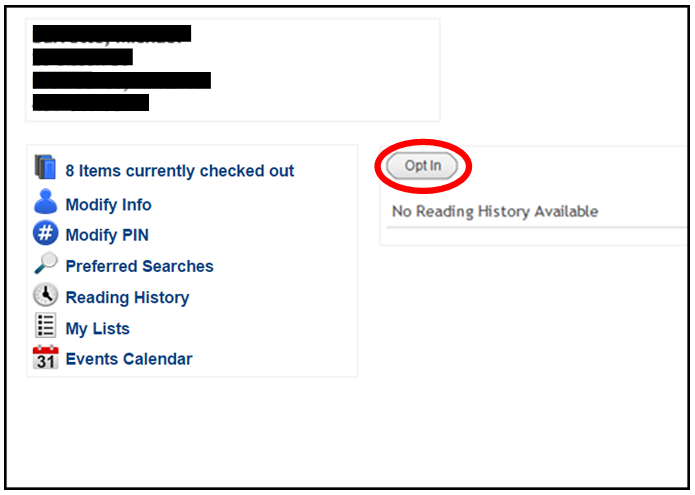 NOTE: The Reading History is not retro-active and will only start showing titles that are checked out after you “Opt-In”. You may delete select titles from your list or Opt Out completely which will erase your entire history. 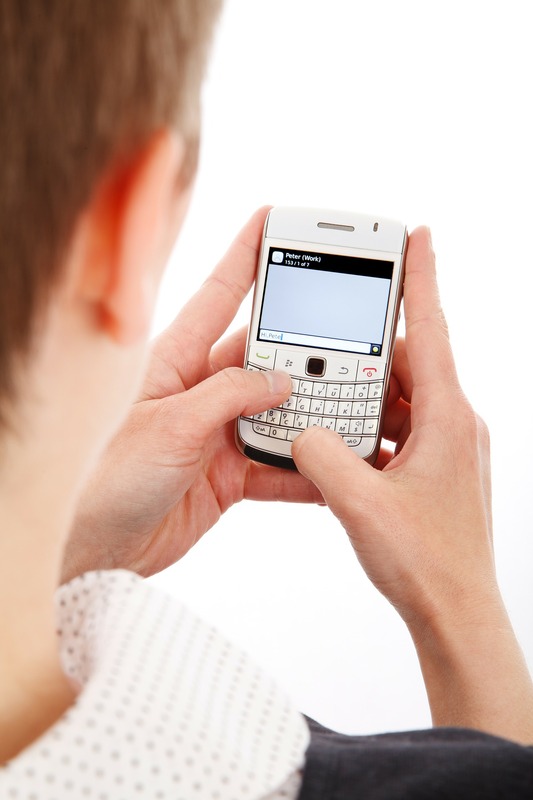 A text alert is sent when an item you requested is ready for pickup. The message will display a portion of the title and indicate the pickup location. Hold Pickup alerts are sent at the top of the hour. An alert will be sent two (2) days before an item is due. Items eligible for renewal may be renewed by following the directions in the alert. Renewal/Courtesy alerts are sent at 9:00am. Overdue alerts are sent seven (7) days after an item's due date. Items eligible for renewal may be renewed by following the directions in the alert. Overdue alerts are sent at 9:00am. Library card expiration alerts are sent six (6) weeks prior to your library registration expiring. Your record must be renewed to avoid interruption in service and keep your information current. 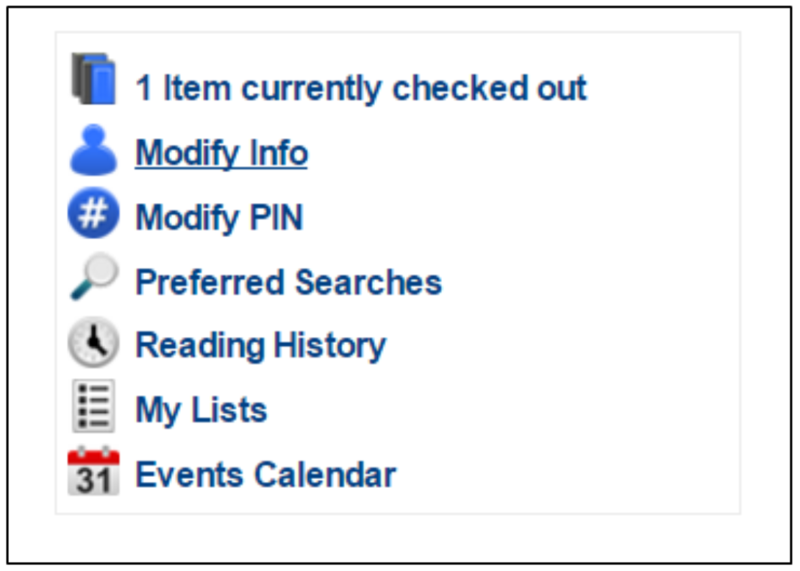 Request the current status of all your library items including holds, fines and current checked out items. Text ADDCARD and follow the prompts to add another library account to your notifications. This is useful for family members to get notifications on multiple cards with one mobile number. Request the current fines linked to your card(s). Display all cards and their expiration dates, linked to your phone number. To update your phone number or carrier. Cancel text notices for a card. Get the last message from Shoutbomb. Ends all text notifications and cancels your registration to Shoutbomb. Reply to the instructions. See your current on/off settings. Toggles your hold alerts on/off. Toggles your courtesy alerts on/off. Toggles your overdue alerts on/off. Get a list of holds that are ready for pickup. Get a list of items that are eligible to renew. Renew all of your eligible items. Get a list of overdue items.